Présenté - faussement bien sûr - comme étant d'Alexandre Dumas, ce livre est l'exemple type de la suite racoleuse et bâclée, exploitant à des fins commerciales la popularité du Comte Monte-Cristo.  Ces nombreux personnages, plus quelques autres propres au roman, se bousculent dans une succession de mini épisodes complètement décousus, qui ne parviennent jamais à former la trame d'une véritable histoire. Le début du livre voit s'installer à Paris la comtesse de Monte-Cristo, qui n'est autre qu'Haydée. Elle annonce que le comte est mort (on devine aussitôt qu'il n'en est rien). Benedetto et Danglars, qui est redevenu banquier, complotent contre Haydée et son entourage. Exemple type de la "richesse" de l'intrigue: l'enfant de Valentine est kidnappé par leurs soins. Valentine devient folle. La complice à qui a été confié l'enfant entre boire dans un cabaret en le laissant tout seul à la porte. La fiancée d'Albert de Morcerf passe dans la rue, le ramasse et le ramène à sa mère qui recouvre la raison... Le tout en quelques pages! Truffé d'incohérences, le récit est donc dépourvu du moindre intérêt. 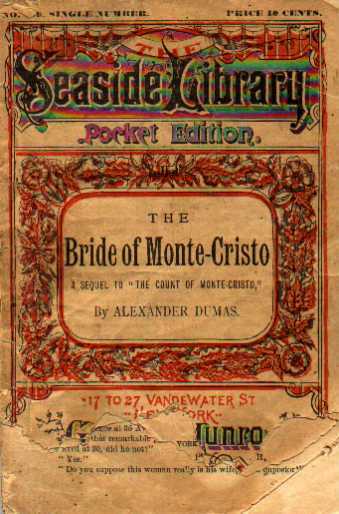 A noter par rapport aux autres suites de Monte-Cristo publiées aux Etats-Unis à la fin du XIXème siècle: The bride of Monte-Cristo ne reprend guère le "fond commun" utilisé par une bonne partie des autres. Le comte y est certes marié à Haydée. Mais contrairement à ce qui se passe dans The son of Monte-Cristo, Edmond Dantès et Monte-Cristo's daughter, il n'a pas de fils Espérance, ni de fille Zuleika (même si, curieusement, Haydée a dans ce volume une suivante qui porte ce nom). Une allusion à l'engagement de Monte-Cristo en faveur de l'indépendance italienne renvoie peut-être cependant à un épisode du Fils de Monte-Cristo, de Lermina. Plus intéressant en revanche est le parallèle avec Monte Cristo and his wife. 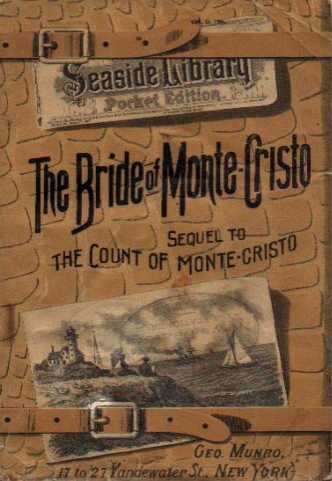 Ce dernier roman, nettement plus réussi que The bride of Monte-Cristo, comporte de multiples éléments communs (personnages, certains thèmes et détails), un peu comme si son auteur s'était inspiré de The bride pour en tirer un roman plus abouti. Extrait du chapitre 1 "Renewed acquaintance"
"Beauchamp, what is the meaning of this?" The speaker was a man of probably something over thirty, with light hair and clear gray eyes. His name was Lucien Debray, known to the readers of "The Count of Monte-Cristo" as the sec-retary of the Minister of the interior. Nearly three years had passed since the night when he dissolved partnership with Hermine, the wife of Baron Danglars, and purchased the house in the Rue de Madeleine. There had been many political changes since then, but Debray had managed to keep his place in the diplomatic service, though he had not succeeded in gaining a step on the ladder of promotion. The place was the editorial room of the Impartial, a journal of which Beauchamp had charge. "What is the meaning of what?" Debray pointed to an item in the morning edition of the paper he held in his hand. "Of this paragraph," he answered. "If is here stated that the Countess of Monte-Cristo has arrived in the city and taken up her residence on the Avenue de Champs Elysées." Beauchamp laid down his pen. "You know as much about it as I do," he said. "There is a woman calling herself the Countess of Monte-Cristo who has taken up her residence at 35 Avenue de Champs Elysées." "When that remarkable person, the count himself, was in Paris, he lived at 30, did he not?" "Do you suppose this woman really is his wife, or an impostor? " "I am not qualified to give any opinion as yet. In a few hours from now I will be able to do so." "You are going to call on her?" "I would like to accompany you." "Then do so. If she really is Monte-Cristo's wife, the beautiful Greek, she will not object to our paying our respects together." "As soon as I have finished this article. Say in an hour." "Then in an hour I will call for you." Speaking thus, the diplomatist took his leave while Beauchamp resumed his writing. Meanwhile, in the reception-room of the house on the Avenue de Champs Elysées, sat the Countess of Monte-Cristo. She was indeed none other than Haydee. The years that had passed since the time when she and the count had sailed away together from the island, from which they took their title, had only increased her beauty. She no longer wore her native costume, but was attired like any other fashionable Parisian lady. She was not alone. Near her another lady was seated. This was Valentine de Villefort, now Mme. Morrel. "But the count, our benefactor, how did he die? When we last heard from you a year ago he was well." "Question me not. Neither think me heartless because I do not wear the weeds of woe. It is by his command that I appear gay. He would not have me grieve. Dear friend, I but obey his wishes." "Tell me all about yourself. Maximilian is well?"